So. Much. Stuff Going On! Marching Band Previews Their New Program: Under a full moon and on an absolutely perfect night, the Marching Band held their annual preview. They have been practicing all summer, and I have a very good feeling that they are going to be fiercely competitive this year. At 160 members strong, they sound full, present, and confident. The color guard make you feel how the music sounds. They are very ready to make a name for themselves; and I am looking forward to watching them perform. Thanks to Charlie Miller for taking some fantastic photos. Check out the online calendar from our website for their performance schedule as they make their way to the "Dome Show". I am excited! Girls Varsity Lacrosse Coaches: I am also excited to announce that we have selected our Girls Varsity Lacrosse head coach, as well as his paid assistant coach. We are happy to welcome Drew White and Riley Donahue to our Wildcat Family. Drew White is very involved in the Girls Lacrosse community, and he brings a wealth of knowledge and experience in running a successful girls program. Since 2007 he has been the head Varsity Lacrosse coach at Fulton as well as the owner/director of the Salt City Snipers Girls Lacrosse Club. Some highlights from Drew’s career include: Section 3 Girls Lacrosse representative, three- time Freedom League Coach of the Year, 2018 Under Armour Games Highlight Coach, and Coach of four US Lacrosse High School All-Americans and 18 US Lacrosse Academic All-Americans. Riley Donahue returns to West Genesee after a very successful four-year campaign at Syracuse University, where she was a two-time team captain and earned ACC Academic All-American honors. While at West Genesee she was a two-time NYS Champion, team captain her senior season, 2014 All-CNY Player of the Year, and First Team All-American. She also participated in Ice Hockey, winning the 2014 NYS Championship and earning All-CNY First Team honors. Riley has coached with the Gary Gait Lacrosse Club, Salt City Snipers, Syracuse Lacrosse camps, and Town of Camillus Parks and Recreation program. They will begin lacrosse operations immediately. Congratulations Coaches White and Donahue! Transportation Training: I want to publicly thank Armoured One for coming to West Genesee last week to train our bus drivers and mechanics on how to handle potential active shooter situations on school buses. I cannot release all of the techniques that were demonstrated, but I can tell you that after riding one of the buses that I was pretty car sick by the end! Check out this coverage from Newschannel9 about the training. We are Ready to Roll: You will start seeing more cars and activity at each of the buildings this week, and our employees return on Thursday for our Opening Day festivities. If you are a local restaurant owner and reading this, you may want to have some extra staff on hand as we pump nearly 1,000 people back into the local economy. 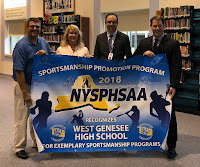 West Genesee Athletics Honored for Sportsmanship: At the last Board of Education meeting the New York State Public High School Athletic Association (NYSPHSAA) presented West Genesee High School with the Sportsmanship Promotion Banner Award; we are only one of four school communities in the state to receive this 2017-2018 honor. 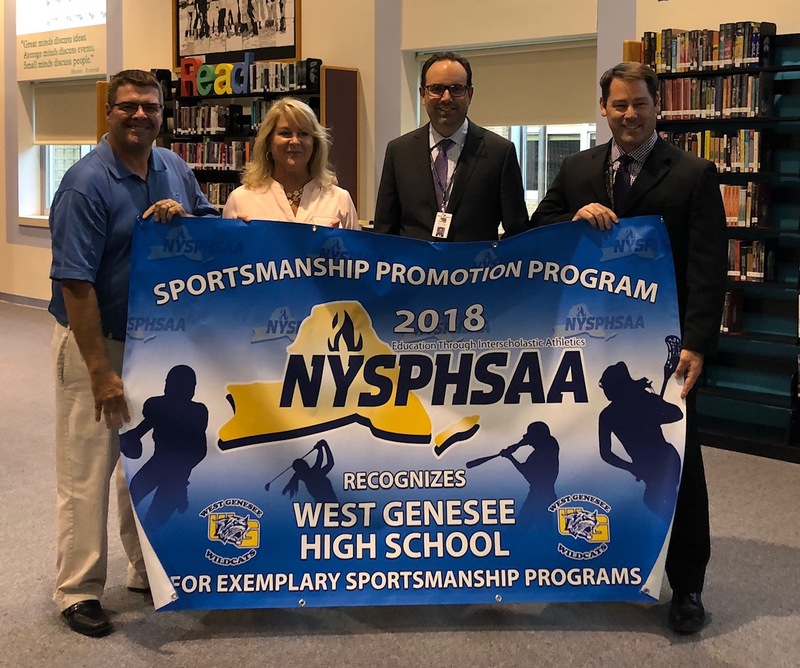 The award is presented to schools which have developed proactive approaches in keeping sportsmanship in the forefront with their students, coaches, spectators, and communities. To read more about the award, click here. Athletics Update: This Friday our Varsity Football team starts their season against Henninger on the turf field at 6:00 p.m. Also, all the fall JV and Varsity sports teams begin competition this week. The daily schedule of competitions is available from the Athletics webpage. If this isn't a sure sign that fall is around the corner, I don't know what is! Thanks for reading! I hope to see you at the State Fair and enjoy the week. In a Routine: There has been construction on Vanida Drive for about the last three weeks. The road is closed, so I have had to use Sanderson Drive to get to my office. That would be great if I hadn't been programmed for the past 11 years to take Vanida Drive to get to my office. I can't tell you how many times over the past few weeks I have pulled into Vanida, remembered that it is closed, and had to turn around and go to Sanderson Drive. I did it twice last week alone. No, I am not crazy, I am just a creature of habit. 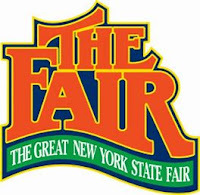 The same thing is going to happen this week when The Great New York State Fair opens. My wife and I had a route that we used to walk BEFORE all of the changes. It made me comfortable. The Gianelli sausage spot was always in the best place for our walk, as was the fried dough stand. I will once again want to walk that same route; but it will be different and I will reminisce about "back in the day". I will, however, find the Gianelli stand, in the new and different spot, and my sausage sandwich with peppers and onions will taste the same. Creature of habit. We are all creatures of habit in some way, especially our kids. Creature of habit is a long way of saying "in a routine". Now is the time of the summer to get your kids back into some type of routine. It always took my wife and I a week or so to get the kids back into a sleep pattern, waking up a little earlier, and being as motivated as it takes to tackle school head on. Starting now, even baby steps to getting back on schedule will pay dividends in early September! 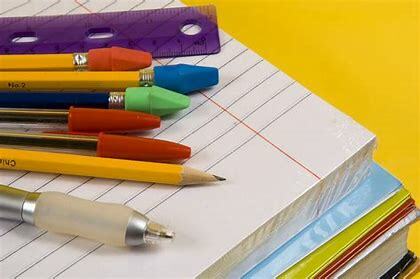 Board of Education Vacancy: Over the summer we had a vacancy on our Board of Education (Board) as Karen Fruscello resigned to make time for a new job.The Board met and decided that it would be best to fill the position before the school year starts, and they have selected Jennifer James. She and her family live in our community, and she has been a Spanish teacher for the Onondaga Central School District for 21 years along with being involved in many of their extracurricular activities. We welcome her aboard and into the Wildcat family. She will need to run again in May to continue her time on the Board of Education. STAR Payments Update: The New York State Department of Taxation and Finance has changed how they are processing STAR payments for some people; especially senior citizens. I know how many people read this blog, but I do not know the demographics; so if you are a senior citizen, or maybe a son or daughter with aging parents, please take the time to read this release by clicking here. The way that I interpret it, people like me will apply for STAR once and it will just continue each year. The big change is that senior citizens who qualify for the Enhanced STAR Exemption will need to apply EACH YEAR. Once you have read the document, please contact your local assessor if you have questions. We don't want people to lose out on the exemption if they qualify, so please pass the word along if you have a loved one who qualifies for the Enhanced STAR Exemption and lives anywhere in New York State. Mental Health Literacy: In my last blog I wrote about the Every Student Succeeds Act. Today I am writing about the new mental health literacy requirements. I do not think that we can take mental wellness seriously enough, so I welcome these requirements. While West Genesee has met the majority of them for years, it is important to audit what we offer to children in the area of mental health literacy and when it is offered. The requirement calls on schools to teach about what to look for as signs of mental wellness or concerns, where an individual can get help, and how students can let people know if they see someone who is struggling. We are fortunate to be a "Positivity Project" District, so we already have a way to accomplish this in addition to what we teach in Health and Physical Education courses and in counseling sessions. To give you more detail, we are also required to have community service connections to mental health treatment facilities. We are accomplishing this through the connections we have in the West Side Support Network, as well as with Helio Health, which we are finalizing a contract with to have higher level counseling available for students right in the buildings. Good stuff, and you will get more details from your individual building principals as the year progresses. Thanks for reading, enjoy the week, and see you at the New York State Fair! There were two indicators between the last blog and this one that really let me know that I am getting old. Well, two, if you don't include the current status of my lower back. First, on Thursday I went out back of the high school to check in on Marching Band practice. Like always, I climbed the thing the drum majors stand on to direct the band so I could get a good picture. I got to the top of the platform looked out at the kids and immediately felt unsteady on my feet; awesome! I made it back down, but that was probably Mother Nature's way of telling me that I should be taking pictures from the ground from now on. The second came yesterday. I was playing golf with some friends, and I hit a good four iron (for once) about 190 yards. It was a downhill hole so the people behind me couldn't see me. I hit my shot, walked toward the hole another thirty or so yards more, and a gold ball missed my face in the air by less than a foot. No harm no foul, so I continued on to the green and putted out. A golf cart came up and it was the kid who had hit the shot. It was one of our golfers from the golf team, and he apologized profusely and told me that he had hit a FIVE iron, 220 yards. It was right then and there that I reaffirmed that Father Time is undefeated! 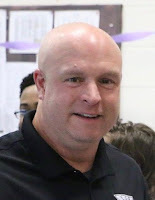 Welcoming New Boys Lacrosse Coach: It was fun to have a full house on hand last week to introduce Shaun Smith as our new Boys Varsity Lacrosse coach. After a couple of quick words to introduce him, I retreated to the back of the room where I could really feel a new chapter of our history beginning. He and his coaching staff have a great plan in place to respect the past and represent our future in boys lacrosse. There was a lot of excitement in the room, and I am looking forward to seeing what they put together. A Few Educational Topics: I want to thank you for reading this blog. I thought some of you would take the summer off, but the stats indicate that many of you are reading as frequently as you do during the school year. That is great! Since you are reading, I want to hit on a couple of educational topics that you are going to hear more about in each building as the school year unfolds. The first topic is called the Every Student Succeeds Act (ESSA) and is the replacement of the No Child Left Behind Act (NCLB). To "measure" student and school district progress, NCLB used test scores predominantly. ESSA uses test scores (some are the same and some are different than NCLB) as well, but there will be a few more markers that will be featured more predominantly. Two of them that will directly impact you as parents are absenteeism (for sure) and civic readiness (I think). Students who are chronically tardy and absent (without proper excuses) will significantly count against us in terms of our overall performance. We will be ratcheting up the importance of getting your children to school so you may sense that a bit if you have children who were late or absent (without proper excuses) last year. New York State has not totally defined what civic readiness is going to look like, but I would guess that there will be some extended volunteerism in the community. Completion rate is also thrown in there and we are crushing that right now so I am actually looking forward to challenging ESSA this year. Once ESSA comes more into focus, the principals will keep you up to speed; I just wanted you to hear about it as we finish the summer. 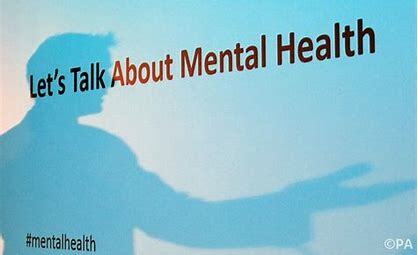 Next week I will start getting you familiar with the new Mental Health Literacy guidelines. Other Updates: By the end of the today we should also be able to make the Onondaga County Safety Task Force Report available. It was a very humbling experience to be able to represent not only West Genesee but educators around the county, and I am very proud of the work the committee completed. 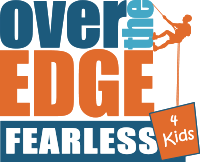 If you are looking for something to do next Saturday, our High School Executive Principal Shannon Coholan is going to be rappelling (yes, you read that right) over the side of a building downtown to help raise money for one of our community partners, the McMahon Ryan Child Advocacy Center. She is scheduled to rappel at 9:00 a.m. and more details can be found by clicking here. Good luck to her! Another great weekend in the books! We had a very rare occurrence at home when BOTH of our boys were under the same roof at the same time. Even though they are both over 21, we spent the time cooking out and just catching up. If you have younger kids, I don't care how much they argue and fight, you will miss those days when it takes six months or more at a time to get them together. Some Employees Return: Welcome Back Today we welcome our eleven-month administrators and secretaries back to school. There are only a few of us who work 12 months so we appreciate the company! Their arrival means that life will begin to come back to each of the elementary and middle school buildings, new families will get tours, class lists will be finished, and professional development will begin. Good stuff! Security Update: Over the past few weeks, we have been working to get all of our security enhancements in place for the fall. First, we have finalized the schedule for the security project that was approved in May. When you come back to school in September you will see the beginnings of the staging necessary to harden our entrances, upgrade our exterior cameras, and provide more advanced door locks for our classrooms. The big work to make all of that happen will begin at the end of September and should be completed by late spring. In the meantime, my work with the Onondaga County Safety Task Force is complete and our findings and recommendations will be released on the steps of City Hall on August 13 at 9:30 a.m. I was responsible for the "Training and Communication Subcommittee" and the recommendations coming from our group include consistent active shooter training (details of the type of training will be in the full report), constant promotion of door locks and saying something if you see something, and an emphasis on mental health training, crisis intervention training, and Stop the Bleed training. West Genesee is already engaged in all of the above and this will continue and be enhanced into this school year. On the communication side, we are recommending the addition of two communication services: Navigate Prepared and Tip411. 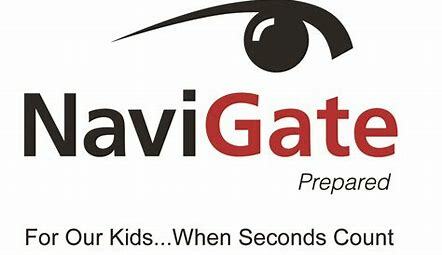 Navigate Prepared will give police an opportunity to have three-dimensional pictures and videos of each of our buildings in the event of an emergency. It will give our employees an instant way to take student attendance and also signal an alarm from a given area if necessary. This will be in place for West Genesee by the time school starts. Tip411 is a product that has been very successful for the police, but has not been available for schools, until now. 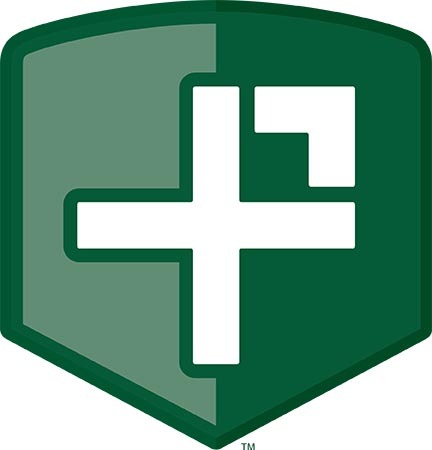 Tip411 allows anonymous communication between a tipster and law enforcement so a case can be solved more quickly. 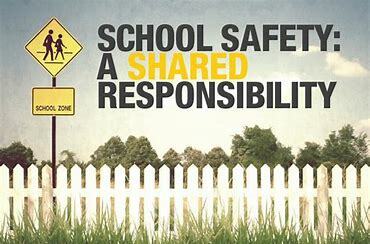 As a result of the safety committee, we were able to get the company to tailor a product for schools, and West Genesee will be the first school in the county to use it. If you are a school administrator and reading this, imagine getting a tip about an incident in a hallway or bathroom and being able to communicate back in an anonymous way to ask for a time, exact location, clothes a person is wearing, etc. This will allow us to cut investigation time from all day to a matter of minutes. We are looking very forward to adding this service for the start of school. Chief Winn and I are also speaking about ways to maximize school resource officers and those conversations will continue into the fall. All in all, I am pleased with the progress we have made since our last safety forum in the early spring. Everything we spoke about is happening. Meet the New Coach: In my last blog, we welcomed Coach Shaun Smith as our new Varsity Boys Lacrosse Coach. He will be meeting with returning players and parents from grades 7-12 from 6:00 p.m. to 6:45 p.m. this Thursday in the West Genesee High School Large Group Instruction Room. He will then be meeting in that same location with any members of the community who would like to meet him and hear what he has to say about the program and his vision from 7:00 p.m. to 7:45 p.m. This week I will be getting all of our academic initiatives lined up for the school year and will relay those and more to you next week. Stay cool, stay dry, and enjoy the week.